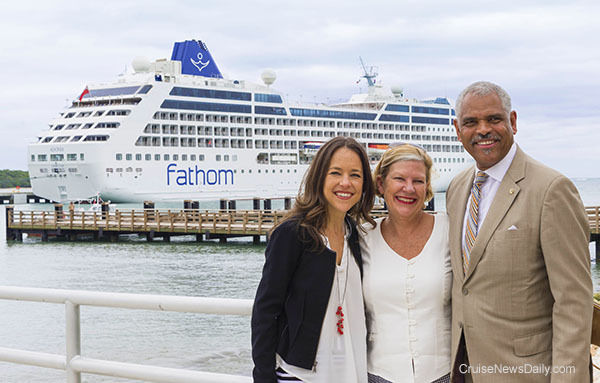 Carnival Corp said this morning that the Cuban government has agreed to allow their Fathom brand to carry all passengers to Cuba regardless of their country of birth, including Cuban-born American citizens. Actually, Cuba’s decision was much more broad than that. They’ve actually changed their law which prohibited Cuban citizens from entering or leaving the country by sea. They haven’t completely repealed the law, but they have modified it to allow Cuban citizens (which they still consider naturalized American citizens to be) to enter and exit the country as passengers or crew members on cruise ships and other commercial vessels. Adonia's inaugural trip to the Dominican Republic this week. Shown are Fathom President Tara Russell, Carnival Australia Executive Chairman Ann Sherry and Carnival Corp CEO Arnold Donald. Photo courtesy of Carnival Australia. All rights reserved. May not be copied or used without express permission. What has been one of Latin America’s strongest source markets has dropped into a freefall with passenger numbers plummeting. It appears the political uncertainty, the weakening of the currency against the dollar and the country’s economy are taking a toll. Meyer Turku (the Finnish subsidiary of Meyer Werft that owns the former STX yard in Turku) will invest 17 million euros in their fully-owned subsidiary, Piikkio Works, a cabin factory near their Turku yard. Carnival Corp said this morning the Cuban government has agreed to allow their Fathom brand to carry all passengers to Cuba regardless of their country of birth. Cuban law had previously prohibited persons born in Cuba to enter or leave the country by sea. Fathom's May 1 inaugural cruise to Cuba will now move ahead as originally scheduled. MSC held the traditional maritime coin ceremony for MSC Seaside at Fincantieri’s Monfalcone yard today. The ship is the first of up to three of the class that the Italian builder will deliver beginning in 2017. MSC Seaside will be based in Miami year round for service in the Caribbean. MSC used the occasion to release more details of the unique new design. Details appeared in the April 21 edition of Cruise News Daily. Renderings courtesy of MSC Cruises. All rights reserved. May not be copied or used without express permission. Royal Caribbean has decided to do more extensive work on Empress of the Seas before returning it to the RCI fleet. After earlier canceling six previously-scheduled sailings, the line has canceled seven more that will keep the ship out of service through the May 23 sailing. 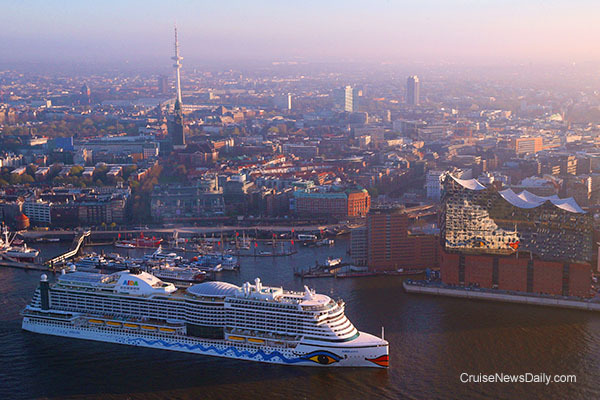 AIDAprima has finally arrived in its home port of Hamburg. It has been sailing from the Mitsubishi yard in Japan since March 13. The Maryland Port Administration has signed a new contract with Royal Caribbean that will keep them at Baltimore through June 2020. 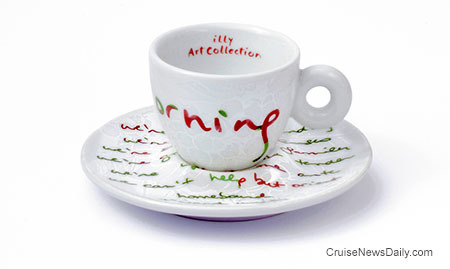 The complete stories appeared in the April 21 edition of Cruise News Daily. MIAMI (April 21, 2016) — Following an extensive global search, Carnival Cruise Line has hired Kathy Mayor as chief marketing officer. Mayor possesses wide-ranging experience in an array of marketing disciplines including e-commerce, digital and loyalty marketing, customer relationship management, business development and product and brand management. In her new role as CMO, Mayor is responsible for driving Carnival Cruise Line’s marketing strategy across a variety of platforms including digital marketing, e-commerce, advertising, guest loyalty and public relations. She will report directly to Carnival President Christine Duffy. Mayor previously worked at Las Vegas Sands Corp. where most recently she served as global senior vice president of strategy, CRM and e-commerce. In that role she led Sands’ corporate marketing efforts in marketing technology, data science and market research, and then led Sands China’s digital marketing, social marketing and e-commerce product management. Mayor joined Las Vegas Sands in 2008 and previously carried the titles of global vice president of CRM and loyalty marketing, and executive director of strategic initiatives. Prior to joining Las Vegas Sands Corp., Mayor filled leadership positions at Caesars Entertainment, McKinsey & Company and Procter & Gamble. She holds a Masters of Business Administration from Harvard Business School and a Bachelor of Science in Management Engineering from Ateneo de Manila University in the Philippines. Mayor is married and has two children. When most restaurants open, they cut a ribbon. 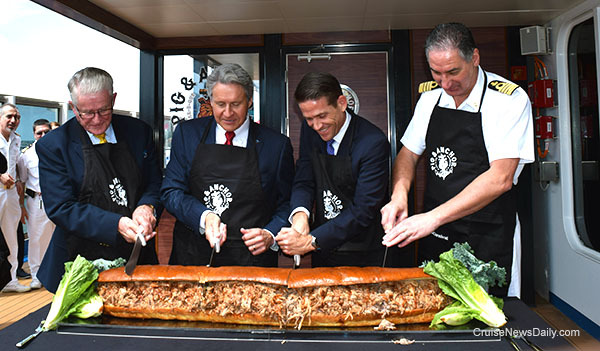 On Carnival Magic, they cut a six-foot sandwich, bursting with pulled pork (perhaps more appropriate for Washington). Carnival was in full Carnival mode at Port Canaveral today. The event was staged to welcome Carnival Magic to Port Canaveral and note Carnival’s expansion at the port. Prior to its arrival, the ship underwent a dry dock which added a number of new features to the ship, including a new Carnival restaurant, Guy’s Pig & Anchor Bar-B-Que Smokehouse, designed by Food Network celebrity chef Guy Fieri. But in some ways this seems like it might represent nearing the end of an era. In other ways, it may represent the start of a new one. The complete story appeared in the April 20 edition of Cruise News Daily. Carnival Cruise Line is extending the time in port at Cozumel on some 750 sailings on 17 of their ships. 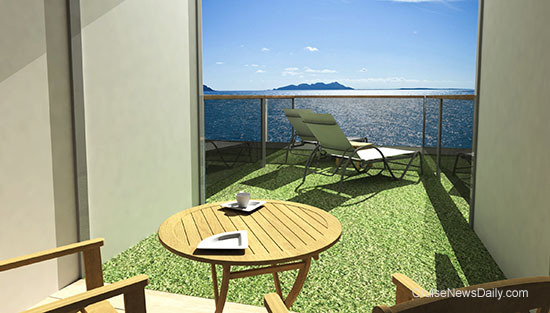 Details appeared in the April 19 edition of Cruise News Daily. Passengers aboard the transatlantic crossing of Queen Mary 2 on August 9 are going to be in for a rare and interesting treat. Passengers will have the opportunity to see selections from the world’s largest collection of film-worn Marilyn Monroe costumes. MSC adding bandwidth and speed to their internet connection with new pricing plans running as low as $2.50 for unlimited access to social media sites and only $66 a week for full access to the internet with speeds that allow streaming video. Carnival Corp says that due to ongoing talks with Cuba they expect the Cuban government to change their policy and allow Cuban-Americans to arrive by sea before Fathom's first cruise from the US to Cuba on May 1. As a result, their Fathom brand has begun to accept bookings from everyone regardless of their country of origin. A lawsuit had been filed against the line by two Cuban-born American citizens for whom Fathom had declined to make a reservation in accordance with Cuban law. Fathom said that should the Cuban government's decision on the matter be delayed beyond May 1, the line will delay the start of their voyages to Cuba. The complete story appeared in the April 18 edition of Cruise News Daily. 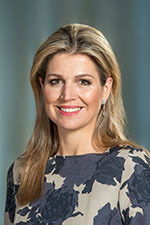 Holland America Line said this morning that Her Majesty Queen Maxima of the Netherlands has consented to name ms Koningsdam in Rotterdam on May 20. Her Majesty will carry on a tradition of the Royal Family christening Holland America ships that dates back to 1929 when Prince Hendrik launched Statendam III. Over the years the Royal Family has named 11 ships for the line, the most recent was when then-Princess Maxima christened Nieuw Amsterdam in 2010. Details appeared in the April 18 edition of Cruise News Daily.